While it’s good we know about the more-famous battles, it’s better we also learn about the lesser-known but just as remarkable conflicts that once took place in the Philippines. 2. Tamblot Uprising (1621 – 1622). 3. Bancao Revolt (1621 – 1622). 5. Chinese Massacres (1603, 1639, 1663). 6. Sultan Shaif ud-Din versus Sultan Kutai (1701). 7. Agrarian Revolts (1745 – 1746). 8. Revolt in Defence of the 1812 Constitution (1815). 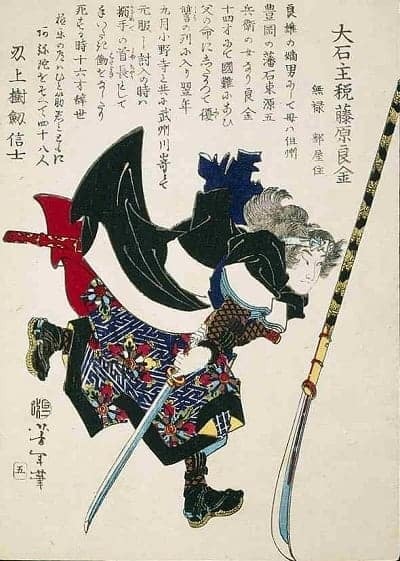 Japanese samurai versus European soldiers? It may sound a little hard to believe, but such a cultural faceoff really happened when the Spanish encountered a pirate settlement near the river of Cagayan in Luzon. Led by their chief Tay Fusa, the pirates—composed of Chinese mercenaries, Japanese “ronin” (masterless samurai) and other lawless elements—subjugated and oppressed the people of Cagayan, compelling the Spanish to send a relief force of forty men led by Capt. Juan Pable de Carrion onboard six ships. Set against this small expedition was an enemy force composed of approximately 600 men and more than a dozen ships. In the ensuing battles (which included beach warfare and actual boarding of ships) the Spanish utilized their superior weaponry and military tactics to inflict hundreds of casualties on the pirates with only a few deaths on their side. In the end, Tay Fusa and his men were forced to abandon their settlement. Babaylan. Artwork by Christine Bellen. If you’ve ever heard of the biblical story about Elijah challenging the priests of Baal to see whose god could rain fire from the heavens, then this uprising also had a similar showdown albeit with reversed results. Tamblot, a babaylan from Bohol, was said to have started the revolt after he challenged the Spanish priest to see whose god could help them produce rice and wine from a bamboo stalk. While Tamblot won the challenge, the Spanish attributed his victory either to demonic forces or plain trickery. Nevertheless, Tamblot convinced 2,000 Boholanos to abandon the Spanish and instead join his cause. Due to the uprising, the Spanish had to call for reinforcements from Cebu to defeat the rebels. As for Tamblot’s fate, he was either killed in one of the battles or was assassinated by some Spanish friars who managed to infiltrate his camp. 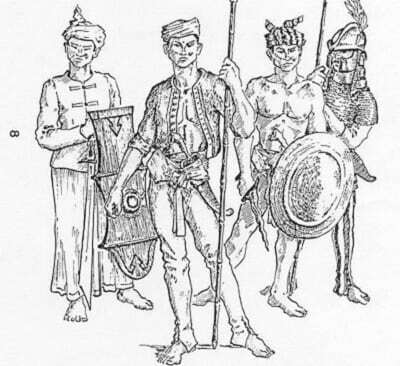 Concurrent with the uprising by Tamblot in Bohol was the Bancao Revolt which happened in Leyte and was led by the aging Datu Bancao of Limasawa. 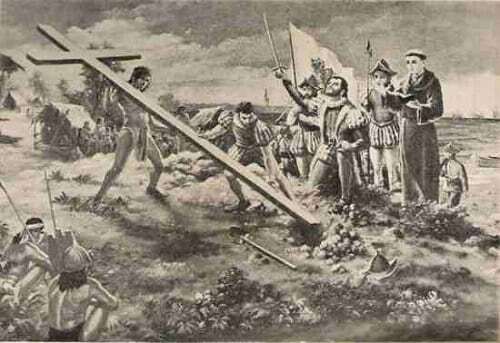 As a young man, he had been one of those who initially befriended Spanish conquistador Miguel Lopez de Legaspi and converted to Catholicism. However, during his dotage, he went back to his old religion and teamed up with the local babaylan Pagali to build a temple dedicated to a diwata. Bancao and Pagali also attracted lots of followers by saying they could turn the Spanish into stones or clay by simply uttering the word “bato” or hurling earth at them respectively. 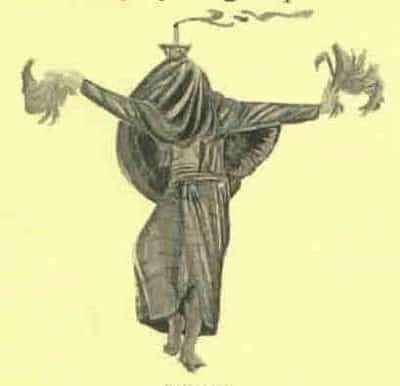 Unfortunately for the followers, their incantations proved useless to the might of superior Western technology as the Spanish suppressed their movement soon enough and burned their temple. Afterward, the Spanish beheaded Bancao’s corpse and placed his head on a stake as a warning to the rest of the people. This revolt, which happened in the town of Oton, Panay, was named after its chief instigator, a babaylan named Tapar. Renouncing his conversion to the Catholic faith, Tapar founded a religion which mixed Christianity and paganism. As its head priest, Tapar dressed in women’s clothes, claimed he could talk to a demon, and formulated native versions of the Spanish clergy, the Holy Trinity, and even the Virgin Mary. When the local Spanish priest tried to intervene, Tapar had him killed. As revenge, Spanish forces hunted down Tapar and his followers and killed them. To dissuade further revolts, they fastened Tapar and his followers’ corpses to bamboo poles and fed them to the crocodiles in full view of the inhabitants. Not only that, they also impaled the movement’s Virgin Mary and fed her to the crocs as well. It sure was tough to be Chinese living in the Spanish-controlled Philippines, considering they had to endure discrimination, violence, and whole-scale massacres. Thanks to the failed attempt by the Chinese pirate Limahong to annex the country in 574, anti-Chinese sentiment generally ran high among the Filipinos and the Spanish. Distrust was a two-way street, however, as most of the Chinese also viewed the other side with suspicion. It didn’t help that some of them actually plotted to revolt against Spain. In this atmosphere of paranoia, several bloody revolts broke out in the 16th century and 17th century. Among the most notable include the Sangley (the archaic term for Chinese) Rebellion of 1603 in which a combined Spanish-Filipino-Japanese force massacred 23,000 Chinese after it was feared the arrival of three high-ranking mainland Chinese officers was a pretext for an invasion. 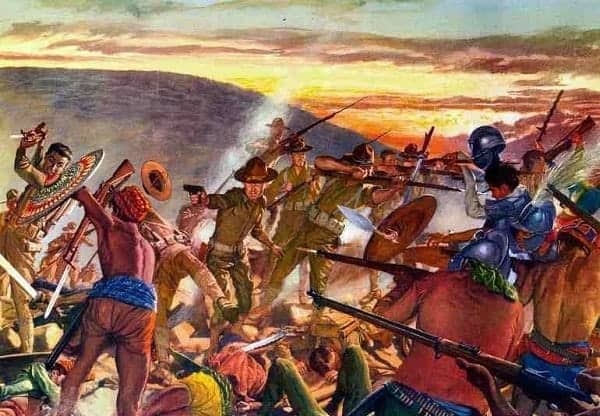 Another, the 1639 Rebellion, involved an uprising by Chinese workers in Laguna which later ended with the deaths of an estimated 20,000 Chinese. The third major rebellion happened in 1662 when the powerful Chinese pirate Koxinga demanded the annexation of the Philippines but abruptly died afterward. His death, however, sparked another battle between the Spanish and the Chinese which ultimately resulted in the latter suffering 22,000 deaths. Unfortunately, no amount of bloodshed could induce the two sides to seek a lasting peace, as there would be more uprisings and rebellions as Spanish rule dragged on. While single combat to the death between two monarchs might seem like something out of a Hollywood movie, an event like this really took place in 1701 between two Muslim sultans due to a simple misunderstanding. Wanting to pay a courtesy call to Kutai who was Sultan of Maguindanao and the successor of Kudarat, Sulu Sultan Shaif ud-Din sailed forth from Jolo to Maguindanao with a huge fleet of native sailboats. However, Kutai wrongly assumed the vast armada to be an invasion force and denied it permission to sail upriver. Insulted by the gesture, ud-Din challenged Kutai to single combat in front of their men. After both killed each other during the duel, their men also fought a bloody battle which was won in the end by ud-Din’s forces. Set in the areas of Batangas, Cavite, Laguna, Rizal, and Bulacan, the roots of the Agrarian Revolts stemmed from the usurpation of lands by several religious orders, leaving the inhabitants poor and desolate. While Spanish forces eventually quelled the uprisings, Pedro Calderon, an investigator for the Royal Audiencia, found that the religious orders—with the collaboration of a corrupt surveyor named Juan Monroy—usurped the lands rightfully belonging to the natives and ordered the lands to be returned to their rightful owners. The case eventually reached the court of Spanish King Ferdinand VI who admonished the friars and commanded them to return the ill-gotten lands back to the inhabitants. 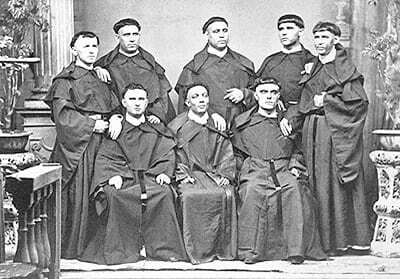 Not only that, but he also instructed the religious orders to treat the Filipinos well. Unfortunately, the king’s decrees fell on deaf ears as the friars managed to keep their vast haciendas and estates until the Revolution broke out. 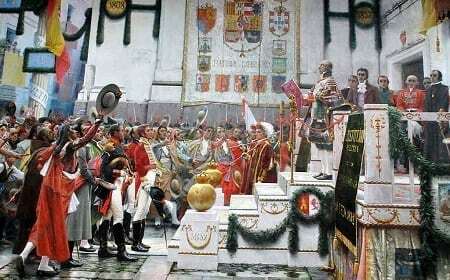 The promulgation of the Constitution of 1812, oil painting by Salvador Viniegra (Museo de las Cortes de Cádiz). Via Wikipedia. One of the least-known revolts in the country happened after the rescission of the 1812 Cadiz Constitution. As can be recalled, that particular constitution—promulgated during a time when Spain was embroiled in a bloody guerrilla war known as the Peninsular War with the French—granted a wide range of rights which was afforded to the different Spanish colonies including the Philippines. Among such rights included representation in the Spanish assembly and Spanish citizenship to the natives. Unfortunately, with the withdrawal of the French and the reinstatement of the Spanish King Ferdinand VII, the constitution was later abolished in 1814. Naturally, this resulted in widespread unrest in the Philippines. Many of the lower classes blamed the upper-class “principales” for the loss of their newly-minted freedoms and suspected them of conspiring with the Spanish to maintain the latter’s hegemony. Ilocandia became the hotbed of the insurgency, with local leader Simon Tomas leading his townmates to ransack and pillage the homes and churches of the Spanish and pro-Spanish Filipinos. However, their revolt was short-lived as the Spanish quickly suppressed Tomas and his followers. Borao, J. (1998). The massacre of 1603: Chinese perception of the Spaniards in the Philippines.Itinerario, 23(1), 22-39.